Stewart Gleadow is a senior technical lead working as part of the architecture team across REA Group's products, with a focus on their mobile app capability, looking at the organisational and technical challenges of building software at scale. 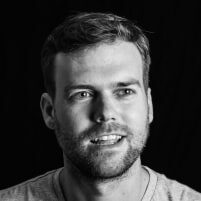 Previous to REA, Stewart was the Mobile Engineering Manager at construction software company Aconex, the Head of Melbourne for consultancy Bilue and a lead consultant with Thoughtworks. He's worked with a number of high profile Australian companies helping to create quality mobile applications, APIs and build high performing development teams. As REA's technology capability has grown to over 500 people across many teams, its mobile development capability has been largely centralised in a few teams. In a world where almost every new product needs a presence in our mobile apps, we've been making changes to allow us to build for mobile at scale. In this talk, Prasanna and Stewart will address some of the challenges faced as we've scaled, that are accentuated when building mobile apps as opposed to web. We'll share REA's experience meeting these challenges by moving away from a single mobile team to a federated model where mobile development happens across many teams. That model required a new approach to the architecture of both our mobile apps and their companion APIs.